A large project to make a basement apartment more comfortable. The upgrades included new flooring throughout the apartment, an updated bathroom, and a reduction of noise transfer between the basement apartment and the levels above. 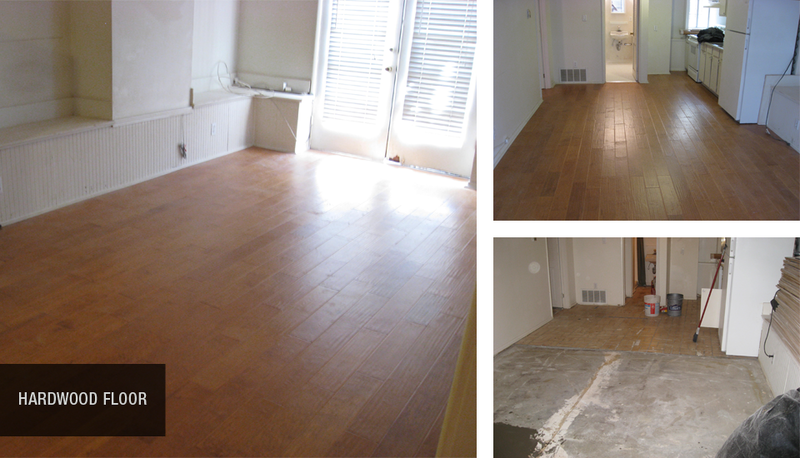 The un-even concrete floors throughout the apartment had to be carefully leveled so that new engineered hardwood could be laid down. Eco-friendly insulation made from recycled blue jean material along with Quietrock sound dampening drywall was used to silence the noise transfer between the two floors. 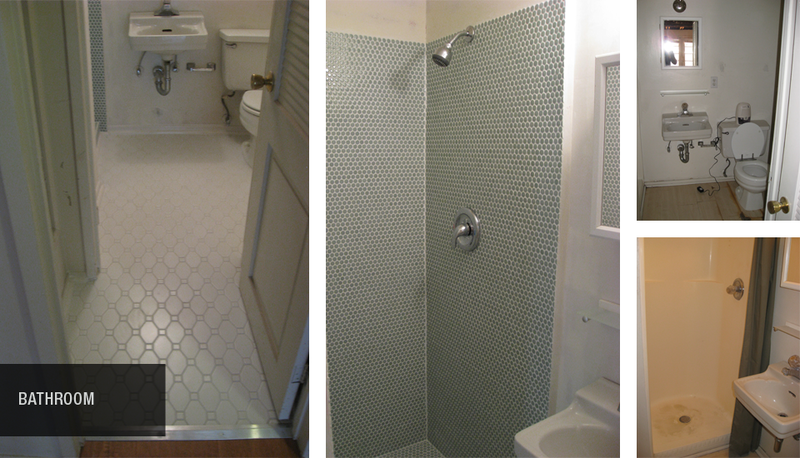 Project included: Bathroom: Tile floor and shower. Hardwood floor: leveled concrete floor, installed glue-down engineered hardwood. 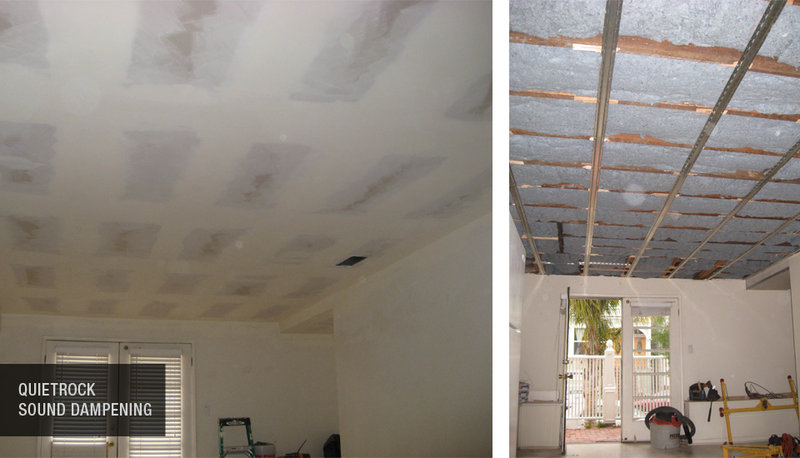 Sound-proofing: Installed eco-friendly insulation, and Quietrock drywall.